This opinion emerged out of my discussions on Caste among Muslims, with my ‘Ashraf’friends. In general, Ashraf Muslims evade ‘Caste debate within Muslim community’, for Caste has no theological recognition in Islam. Nonetheless, the Ashraf having prefix’s like Syed, Khan, Pasha, Mirza, Sheikh, Siddiqui, Farooqui, in their name, argues for the idea of equality in Islam, and blame ‘diffusion of two cultural traditions’ for the formation of ‘social stratification among Muslim community’. These prefix subliminally define their social status. Contrary to their ‘condemnation’ for ‘Hindu caste like features’ in Muslim society, they trace their lineage from Central Asia and Arabian states. Just to mention, the word ‘Ashraf’ originated from the word ‘Sharif’ which means the noble; ‘Ashraf’ is an Arabic word. In order to elaborate their argument, Ashraf argue that Biraadari (translated as Muslim caste) is not as rigid, and very much flexible in Muslim society, which is very much evident in cases of inter caste marriages. The question comes to my mind, is it enough to deny with the fact that Caste doesn’t exists in Muslim society. Every sect group having their own interpretation of Islam, consider themselves as rightly guided ones, and all others as deviance. Moreover, they pass verdict who’s true believer and who’s not, and goes on witch-hunting for other’s in the name of Gustakh I rasool and Qabar parast. This brings us to the conclusion, that homogeneity of Muslim society is a utopian idea (especially in Indian context). The idea which is floated by the religious class (that is also belongs to Ashraf) to gain social and political mileage. The same group see caste debate as a challenge to their hegemony, and thus argues that it will break the social fabric of Muslim society. Such naive they are! I fail to understand how the Caste question, and more precisely political assertion by Pasmanda Muslims will lead to discord and disharmony. Actually Ashraf fears that acknowledging the caste debate will change the political equation (the communal-secular equation). For Ashraf(irrespective of their sects) constitute small percent in comparison to Pasmanda (Ajlaf/Arzal), and are still leading the community. Ultimately this will question Ashraf long held positions, and demand due political representation and social justice by Pasmanda. And it will turn the political stage upside down, which is not acceptable to self-proclaimed leaders of Muslim society. For them, marginalised Muslims are just a matter of table talk. Thus, Ashraf always see caste question as a threat to community’s harmony, and an attempt to defame Islam. This is a fact that Caste question among the Muslims is always seen through religious lens rather to see it as a sociological fact. 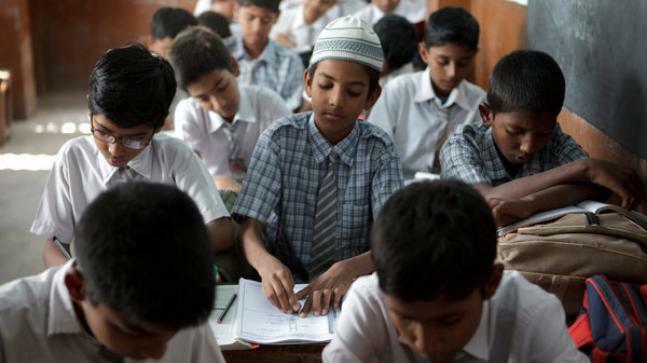 Pasmanda constitutes 85% of total Muslim population needs to identify themselves as a distinct section within Muslim society who are highly marginalised. But the debate is always happening around the fundamental question of caste existence. We need go further to this, until then, the debate will not develop further, and the demand for redistribution and representation will not be listened. P.S: The Muslim society needs do away with sectarian and caste differences, their prejudices and biases. The society needs to recognise the problems of their society, so that, together can fight against greater evils like illiteracy, poverty and backwardness etc.